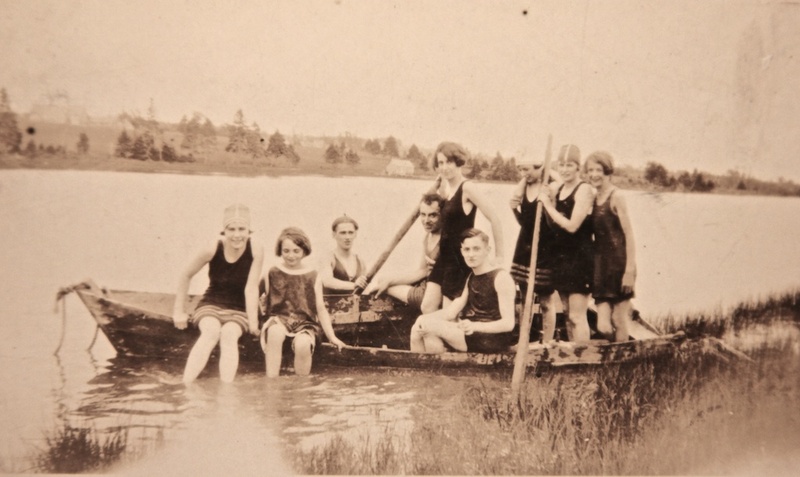 In the picture, above, which was published on November 2014, two of the girls in the boat were Ina Livingstone and Isabel Murchison. They had been school friends earlier, and were still good friends at that later date, in 1927, when the picture was taken. It was just one year later when some very significant changes began for both of them. My mother, Isabel, married my father, Edwin Johnstone, in 1928, and went to live in Charlottetown. A few years later, Ina married Dr. Mark Inman and went to live in London, Ontario. Then in 1933, at just 30 years of age, Isabel died. There may be some people in Clyde River who would be intrigued, as I am, at something relating to them that occurred more than 50 years later. My son, Alex, whose home was Toronto, attended Queens University in Kingston, Ontario. 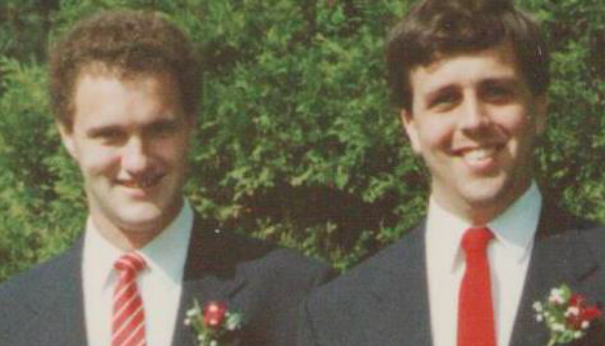 In 1983, at the end of his first year there, he approached his friend, Dave, about looking for a place where they might have the experience of living on their own. Dave told him that he knew of another student who had the same idea, and suggested they look for an apartment that the three of them could share. Alex agreed to this, though he had not at the time met the other student, a friend of Dave’s named John. He had confidence in Dave’s judgment that John would be suitable and congenial. They found a place and moved in. But it was actually not until after they were settled and had been together a while that Alex began to get acquainted with John. They had no classes together and John had come to Queens from British Columbia. While washing dishes one evening they spoke about how much travelling each had done, and concerning how much of Canada they had seen. It was in the course of that conversation they discovered that both had been to Prince Edward Island more than once because both had family connections there. They spoke of the Island, and then to their mutual surprise, they discovered that both of them had roots in a small place called Clyde River! Alex phoned me about it, and though I was surprised at the coincidence, it was not difficult for me to establish that John was the son of Dr. Faye (Inman) Dirks, and grandson of Ina Livingstone Inman. Alex is a grandson of Isabel Murchison Johnstone. In the years after her marriage, Ina and her family continued to visit at home in Clyde River every summer. My grandmother spoke often about her and her family whom she heard about from Ina’s mother, Daisy, (Mrs. Boyd Livingstone). There was a photograph of Ina’s daughters, the two little girls, Faye and Heather Inman, on the mantel in our parlour, but I recall meeting them only once or twice. We were school aged children when my cousin, Carl Brown, and I happened to be in Clyde River at a time when Ina and her family were at home visiting, and we went with our grandmother to visit them. 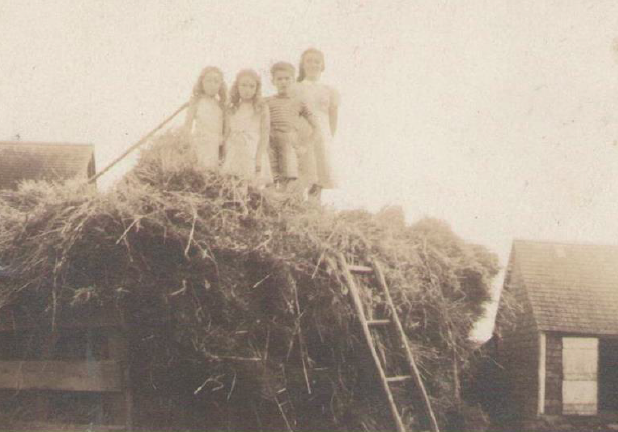 It was sometime in the 1930’s and I recall only that their Uncle Watson let us have the fun of riding on a load of hay together that day! Although worth little as a picture, the snapshot taken that day records the occasion. It was almost 50 years later that Faye’s son and mine met by accident at Queens. Naturally we did not become friends on the basis of meeting so briefly as children, and in fact I did not hear anything further about the Inman girls after my grandmother’s death in 1952. Sometime after we had established the coincidence of Alex and John living together in Kingston, Alex brought John home with him to Toronto one weekend and I was able to tell them my memories of the connection in Clyde River. I told them of going often with one of my uncles to get our butter from John’s great-grand-mother, Daisy Livingstone. 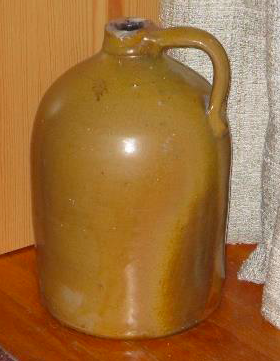 The Livingstones, like many others at the time, did their own home churning, and they always made enough butter to supply our household also. The friendship that John and Alex formed so accidentally at Queens became one that they have maintained throughout the years since then. This picture of them was taken in 1991 on Alex’s wedding day, when John was his best man. John has roots in Clyde River through both of his maternal grandparents, not just through the Livingstones. His great-grandfather, Peter Inman, father of Dr. Mark Inman, was at one time the store keeper in Clyde River. Alex, as one might guess, was named for his great-grandfather, Dr. Alexander Murchison of Murchison Place. Editor’s note: Thank you, Jane, for this contribution to the “Capturing Collective Memories” project. One of the wonderful results of this project is to read such rich multi-generational stories that have a chance to be told.